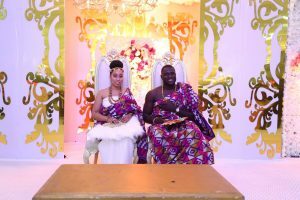 Earlier this month Sharon Carissa Oyakhilome, aka CSO and her Ghanaian beau, Phillip Frimpong celebrated their glorious wedding. Now, on their beautiful honeymoon holiday, the couple is soaking up some delicious summer sun. 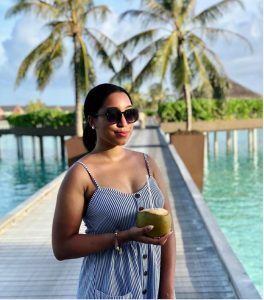 Sharon Carissa took to Instagram last week to post some sneak peeks of her gorgeous honeymoon. The couple can be pictured living it up on mystery tropical beach surrounded by palm trees and crystal blue waters. The newlyweds are looking simply sensational tucked away in their little island of love. The stylish Sharon, pictured in a fresh pinstriped summer dress, elegantly stands on a boardwalk with a coconut drink in her hand. 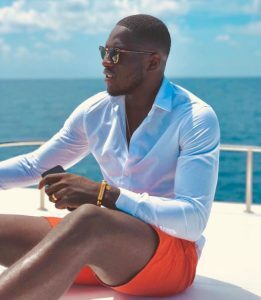 The dashingly dreamy Phillip Frimpong who wore a matching shirt, is pictured relaxing playfully in the sun surrounded by breathtakingly blue skies and water. The couple indeed looked like they’re having an incredibly romantic getaway, and it is certainly well deserved. It’s not every day that two great children of God unite like this. 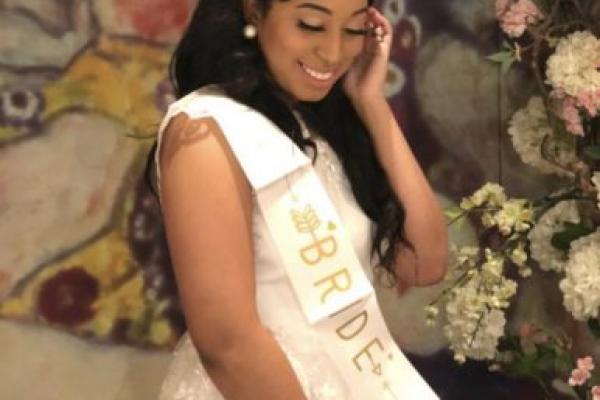 Sharon Carissa is of course the daughter of the one of the world’s most highly respected pastors, Pastor Chris Oyakhilome. 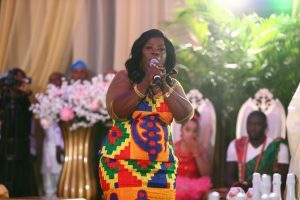 She is also the wonderfully talented gospel singer, CSO. 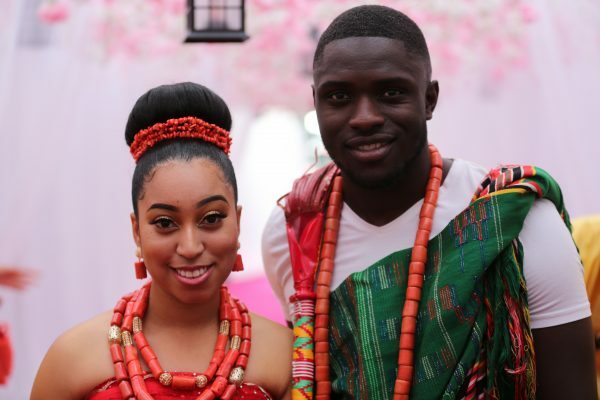 Sharon Carissa and Phillip Frimpong have been overwhelmed by the out-pour of love received from the nation, and even around the world. 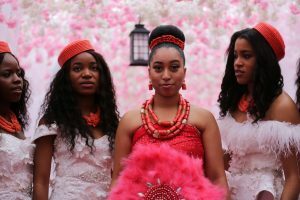 The wedding ceremony that took place earlier this month created a buzz of epic proportions. 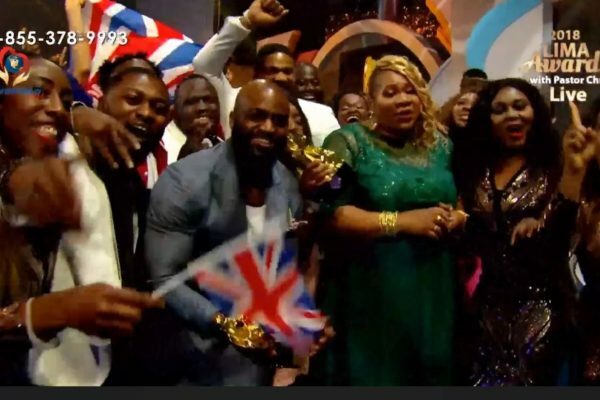 Millions of people around the world watched the live-stream of the wedding. 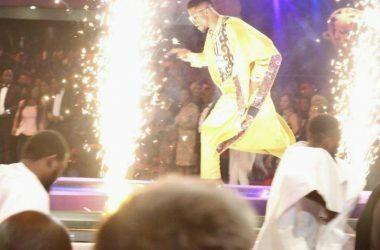 Viewers, enamored with the couple were blown away by the dynamite celebrations. 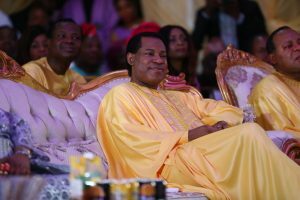 Pastor Chris, who was alongside his daughter, blessed the ceremony, making it a truly spiritual and inspirational occasion filled with God’s love. 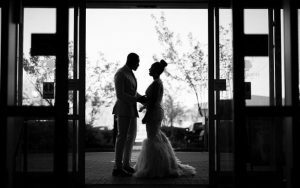 The couple was officiated by the world-renowned minister Benny Hinn. There were many other special guests that graced the ceremony. Nigeria’s hottest gospel stars like, Testimony; Martin PK; UR Flame; Sniper and Israel Strong. 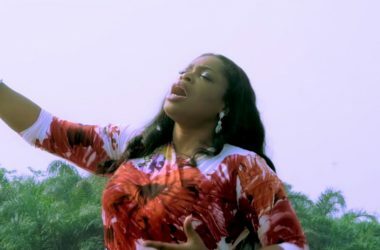 The legendary Sinach also gave an outstanding performance. The couple are expected to be back soon and are eager to begin the rest of their lives together. The world is eager to see what is in store for them. 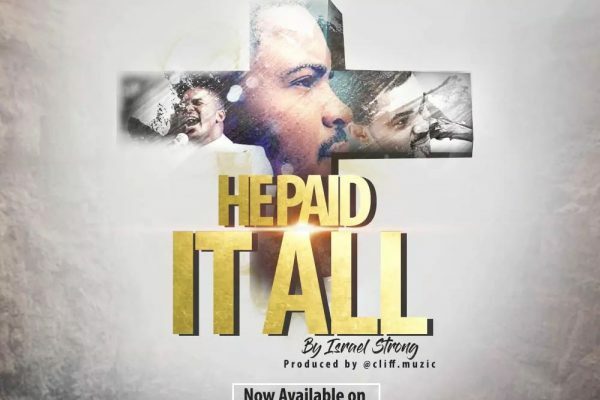 The LoveWorld Inc’s favorite gospel star, Israel Strong is back with another powerful track ‘He Paid It All’. 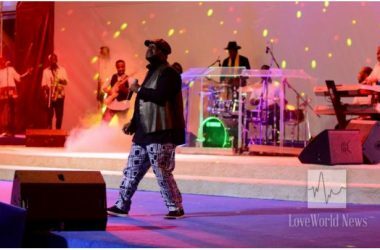 This devoted and soulful artist has won several other awards over the years for his gospel hits. It is a beautiful tribute to Jesus Christ. The song talks about how Jesus Christ paid for our sins. “I’ll never forget what he did on the cross to me, oh what a perfect love.” It is a song filled with devotion and gratitude for Jesus. The song, with the simple line “He paid it all” perfectly describes Jesus’ selfless act as well as his love for humanity. The catchy pop song echoes Strong’s deep sense of thankfulness. Strong’s smooth and high vocals come alive and force you to sing along and shout hallelujah. 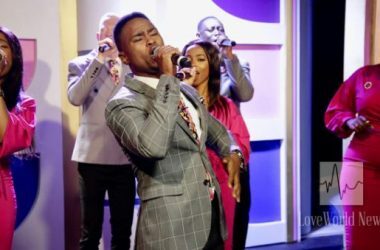 Israel Strong is certainly a force to be reckoned with in the world of gospel. 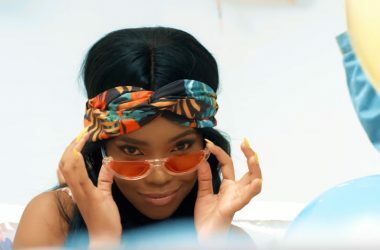 The vocalist has won multiple awards. In 2015, Strong was the recipient of ‘Song Writer of the year’ for the junior category. The awards project was created in order to “to reach the world through music and creative arts ministrations.” A strong sense of devotion super evident in all his music. 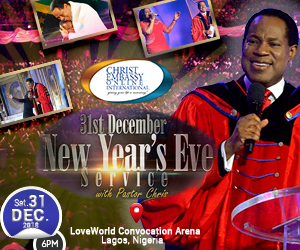 His other hot tracks include, New Level and the Advantage among many others, all of them channeling the love of God. In an interview with this “great minister of God in songs”, Israel Strong told us about the inspiration of his new single. He said; “This song was birthed by the Spirit of God and it came to me during my personal prayer and fasting. I wanted to sing a song that was in line with the message of year and God granted my heart desire.” Indeed a Channeling of Faith. 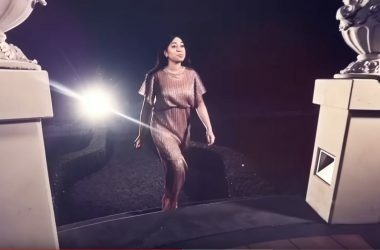 Check out more of Israel’s Strong’s inspiring hits that we selected that bets show his glorious gratitude to the Lord. Strong communicates with the Lord through his music with themes of gratitude and appreciation. 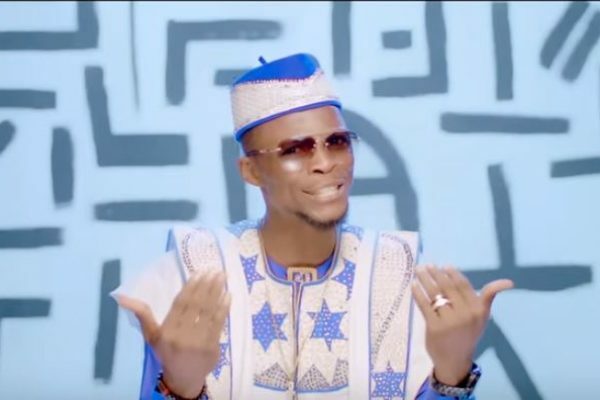 In one of his most popular hits of 2016 ‘Born Victorious’ , Strong talks about talks about creation and expresses a “confession of what God’s word says about the new creation in Christ” This great song was produced by Kelly Lyon, one of the genres top producers. 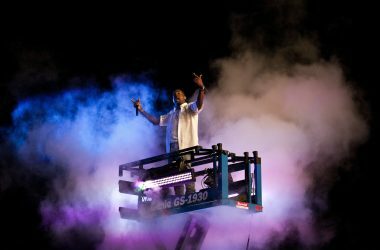 The Man of the Mountain Top is another great song that talks about that special presence that is constantly watches over you. We all want to climb that great mountain top, getting there can be scary but once you’re on top you “can never fall”. 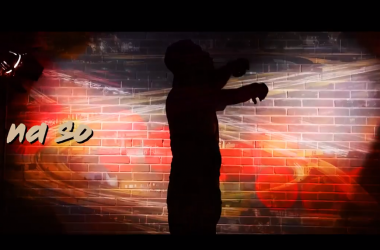 This is what Strong talks about in this moving track. 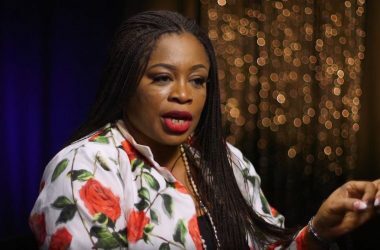 Other top gospel artists from the church including Sinach, Ada, Eben, Frank Edwards, Testimony Jaga, Rap Nation Jahdiel, Evangelist Kathy Woghiren, Buchi, Wisdom continue to transform gospel. Follow Israel Strong on Kingschat today by clicking here! 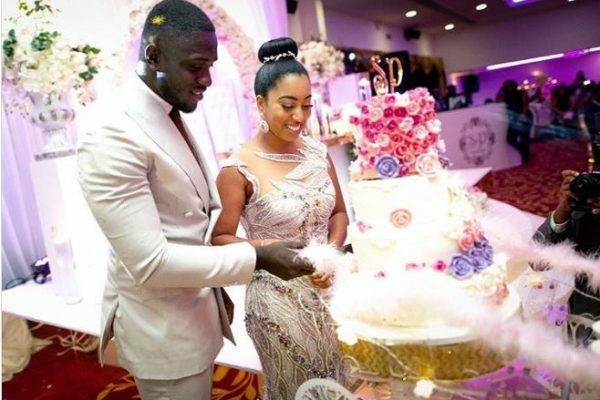 Just yesterday, the gorgeous gospel diva, Carissa Sharon Oyakhilome aka CSO and Phillip Frimpong, the dreamy Ghanaian business man celebrated their engagement party. 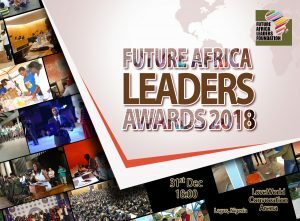 The event took place at the Publishing Rhapsody Campus in Lagos, Nigeria. Carissa Sharon looked absolutely breathtaking in her elegant bright red sparkling dress and magnificent giant matching beaded necklace. The party was filled with Nigeria’s hottest celebs, renowned spiritual leaders and of course the beautiful Carissa Sharon Oyakhilome and her man Phillip Frimpong. 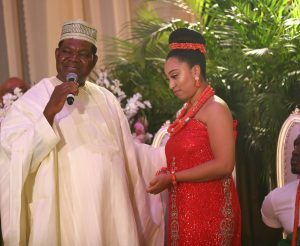 Enjoy these beautiful moments from the Oyakhilome engagement party. The beautiful Carissa Sharon in her sparkling red dress and chunky coral beads. 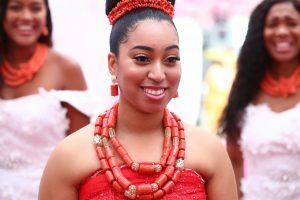 Carissa Sharon Oyakhilome wore a beautiful red around dress with traditional coral bead. 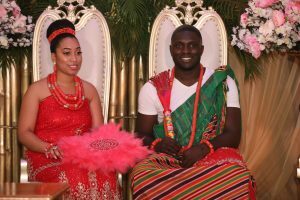 The couple look like king and queen in their magnificent traditional wedding outfits. 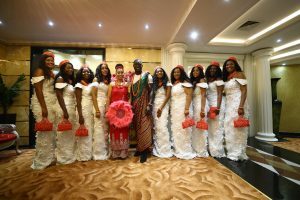 The event was reportedly the biggest engagement party Nigeria had ever seen with guests and family that flocked in from around the globe. 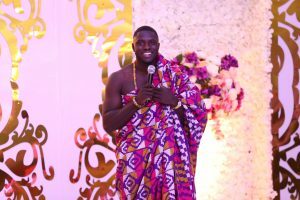 Phillip Frimpong made an amazing speech at the party and expressed how excited he is to marry his best friend and life partner. His speech brought guests to tears. The gorgeous couple of the hour could not take their eyes off each other for a moment. The couple is set to marry tomorrow at the LoveWorld Convocation area in Lagos. Millions around the world are eagerly waiting in anticipation.